After a G&T on arrival, you’ll be served gin–inspired cocktails and canapés throughout the evening, as well as receiving a celebratory gin glass to take away with you! £19.95 per person – Advanced bookings only, a £5 per person booking deposit required. 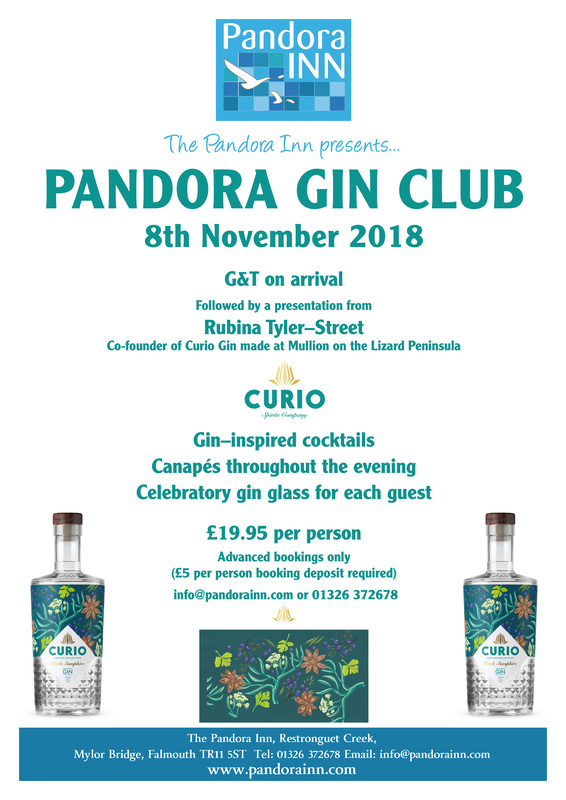 To book your place email info@pandorainn.com or call us on 01326 372678.